It has been an incredibly busy summer in the studio. I didn’t travel anywhere. Typically, I like travelling in late Spring. There are less crowds, it’s not so hot and the airfare prices are better. It’s also around the time of our wedding anniversary, so it’s always more fun to go somewhere when we can. In the summer, I like to take advantage of the good weather we have in Vancouver and go on day trips. 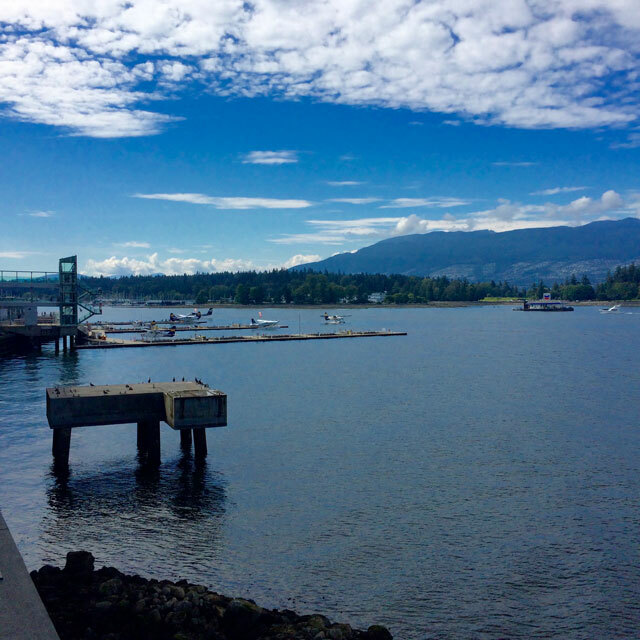 Coal Harbour is one of my favourite places to walk. 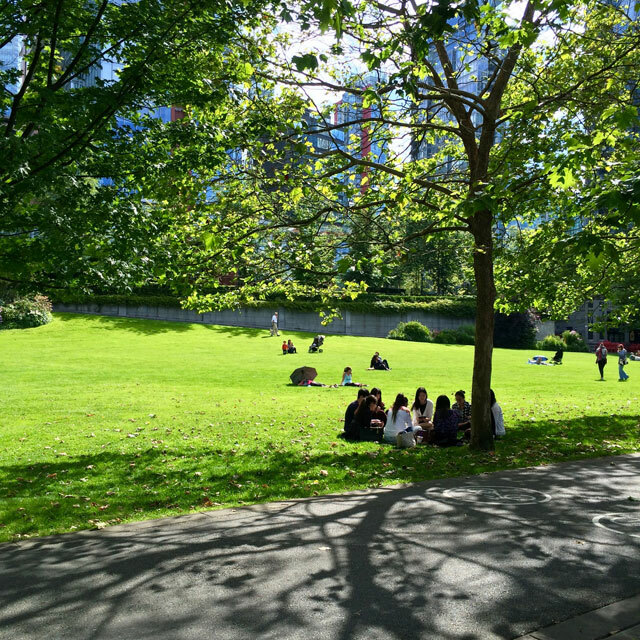 It’s actually just close to the Vancouver Convention Centre, which I talked about last time. In the photo above, the angular building at the back is the Convention Centre. 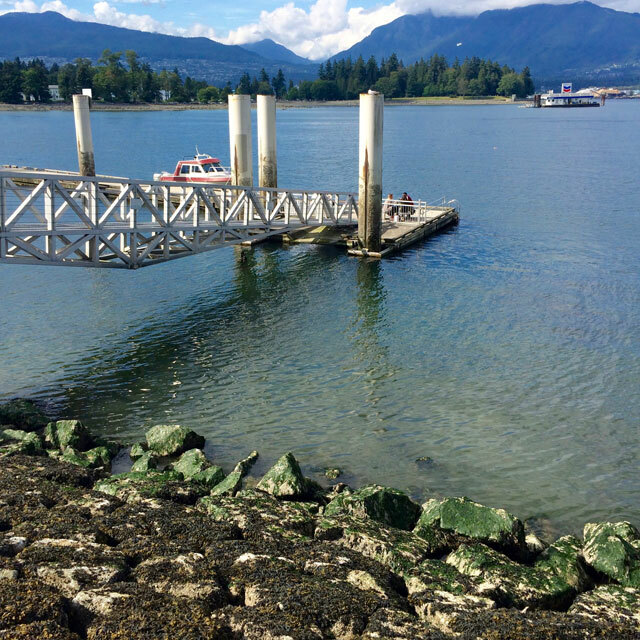 Vancouver has an extensive seawall. You can start at the Convention Centre, walk along Coal Harbour and for many more hours if you wanted to. 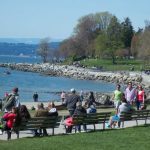 You will then pass landmarks such as Stanley Park, Second Beach, English Bay, Yaletown and Olympic Village. I don’t recommend doing that in one day because it’s over 22 kms. 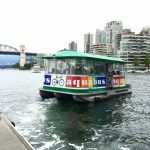 See here for a little information I found from Tourism Vancouver. 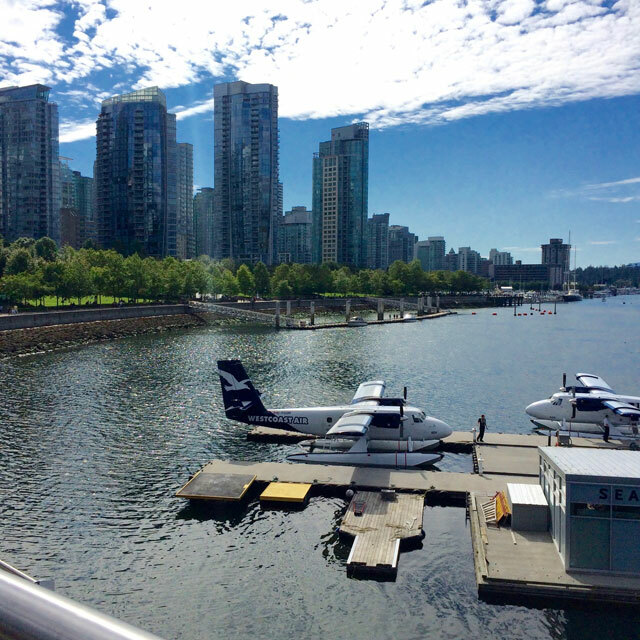 Coal Harbour is also where seaplanes land for flights to Vancouver Island, if you need a faster method than BC Ferries. I’ve never been on it, being proned to motion sickness, but my husband went on it to Victoria once and said it’s quite the experience. In the back, there are many tall condos. 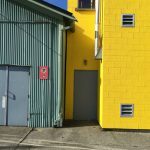 It’s probably one of Vancouver’s most expensive real estate locations. I suppose with views and amenities like this, you would have to pay a premium. 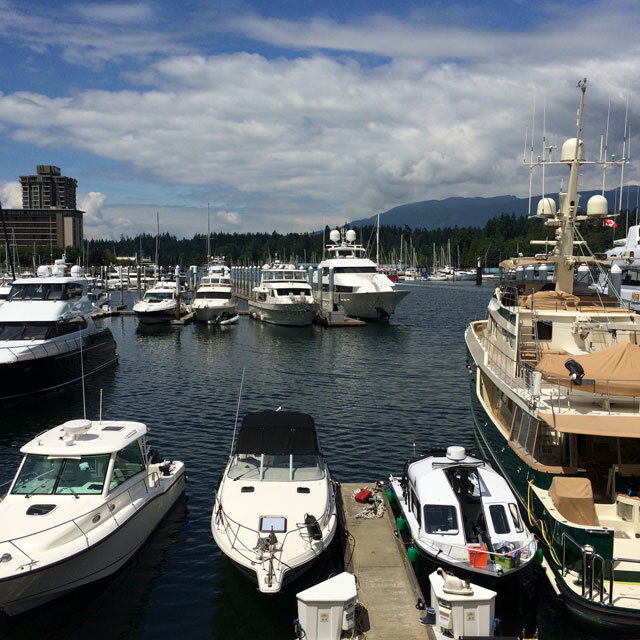 Coal Harbour looks onto North Vancouver, a separate municipality, where those mountains are. In Vancouver, you’ll know you’re facing north when you see mountains. 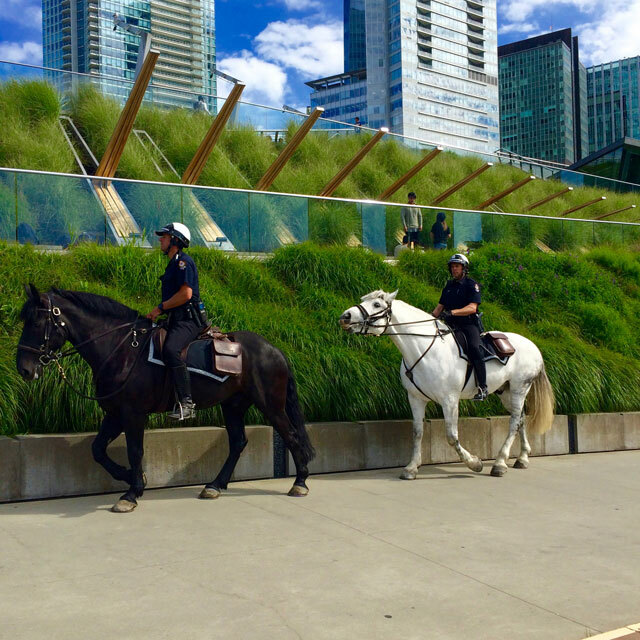 I was lucky enough to see a couple of mounted police near the Convention Centre. Most policemen are not on horses here. This is a rare sight. There’s lots of grass areas along the seawall. It’s a great place to have a picnic and just sit for a while. 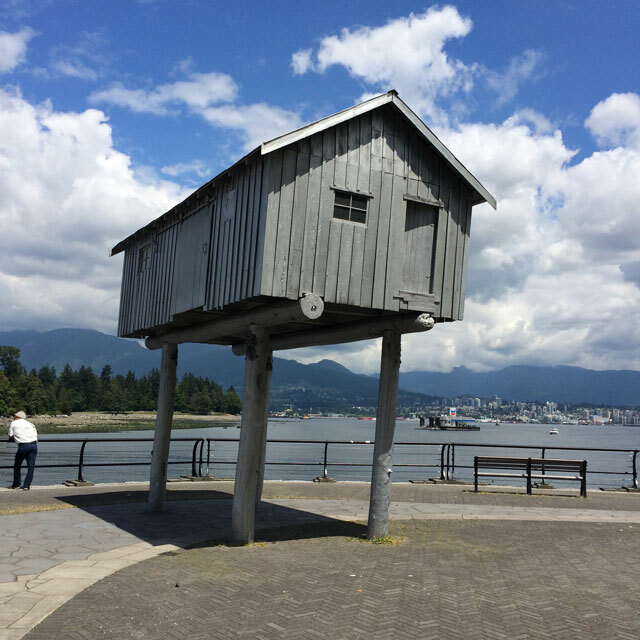 I’ve passed by this tiny house on stilts many times and always imagined that this would be a cool place to have my studio (perhaps getting up there would be a bit of a challenge). I never really knew why it is there, but my friend told me that it’s an art installation. It’s a replica of the houses on stilts that used to be across the water called Dead Man’s Island. The last person to live there was in the 1950’s. Great view of the mountains from here. Across the water, where those trees are, is Stanley Park. It’s the largest park in the city. Here’s the marina where you will find little boats to yachts.